Just a day before the expected Partial Solar Eclipse, today we see some interesting aspects between the planets. A strong retrograde Mars is conjunct with Black Moon at 0 degrees Aquarius. This is probably one of the strongest of the day. 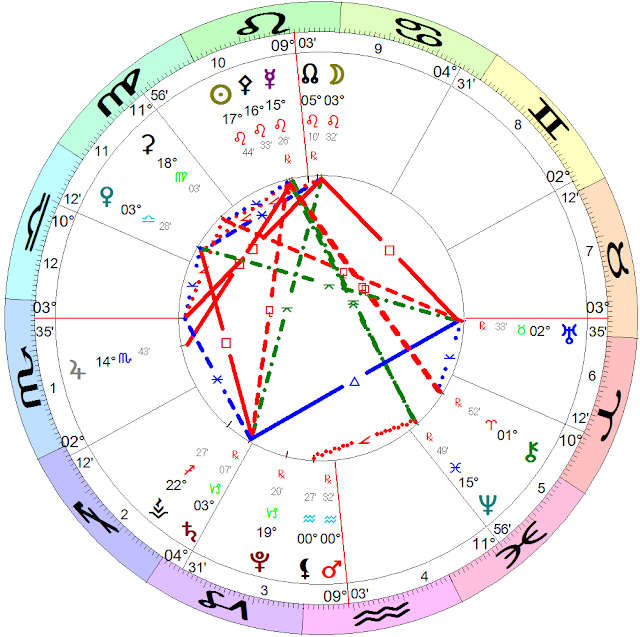 At the same time Mars, (this conjunction) is semisquare to Neptune. [This last Neptune aspect is the cause of many rough seas across the world. ].Neptune in turn is quincunx to Mercury and Pallas conjunction. All in all this set of aspects smells bad weather increased windy weather and rough seas. The other major circular set of aspects are, Jupiter square Mercury and Pallas conjunction, which in turn is sesquisquare to Chiron, Chiron is semisextile to Uranus, which in turn is quincunx to Venus, hence having a foot to another major circular aspect, described below. 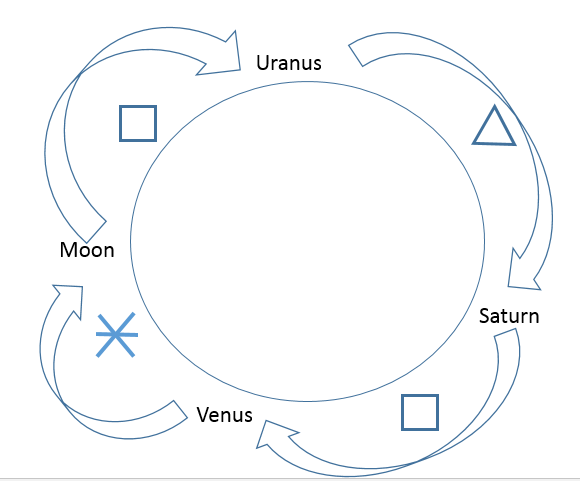 We start with the Moon, Square Uranus, Uranus is Trine to Saturn, Saturn is Square to Venus, (here is the coupling to the previous set os aspects,) Venus is sextile to Moon back to the beginning. Interesting to see how this coupled syatem will evolve into earthquakes. Note also our FDL Method on Global Scale expects today strong event >6R. I wonder if this event has been yesterday or it is to come today. Time will tell. Be safe be good!